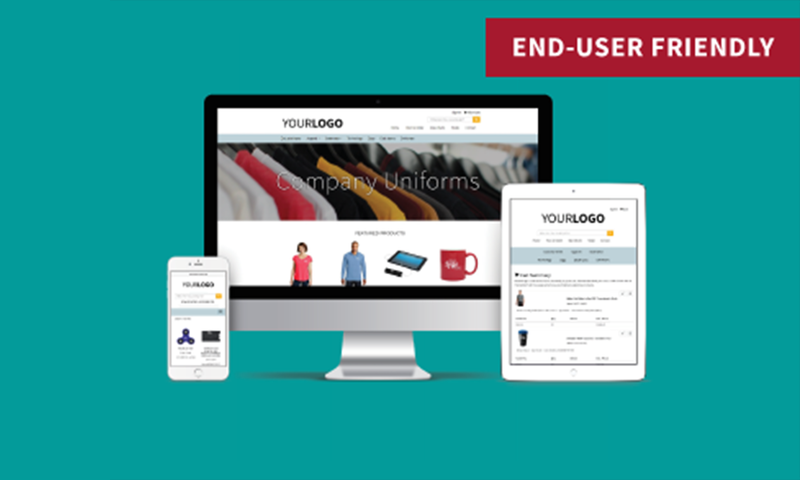 Put over one million promotional products at your clients’ fingertips. 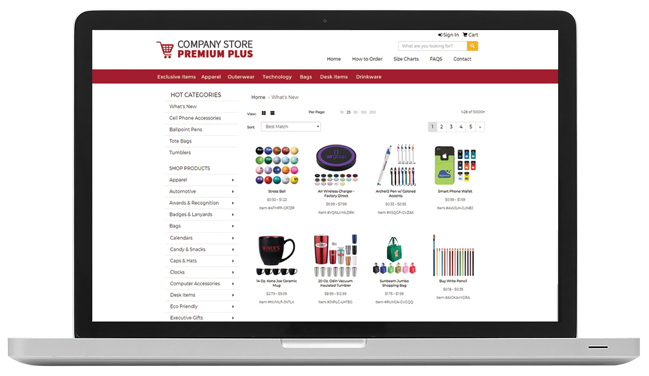 SAGE Company Store Premium Plus is a store for all of your clients’ favorite, branded products, plus the ability to search the entire SAGE database! 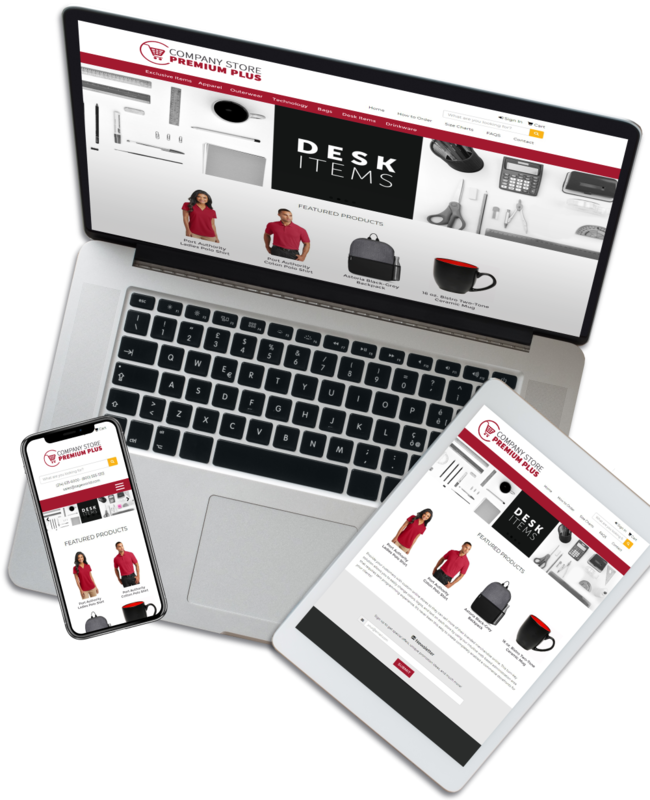 Your clients will be able to search from our over one million promotional products and order more products for their branding needs to seal the deal on more sales for you! 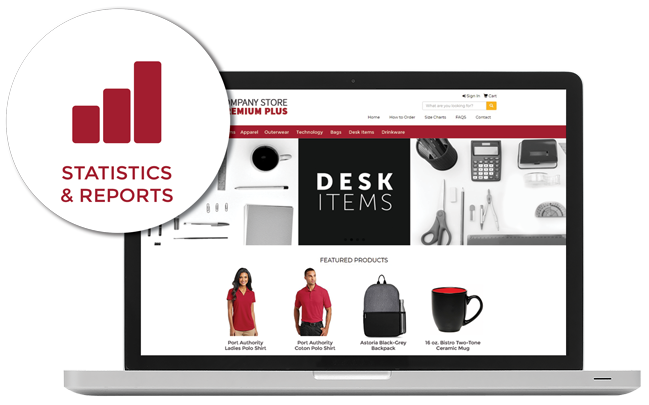 With the ability to search the entire SAGE database of over one million promotional products, your clients can search and order more products for their branding needs 24/7 from their very own custom store. 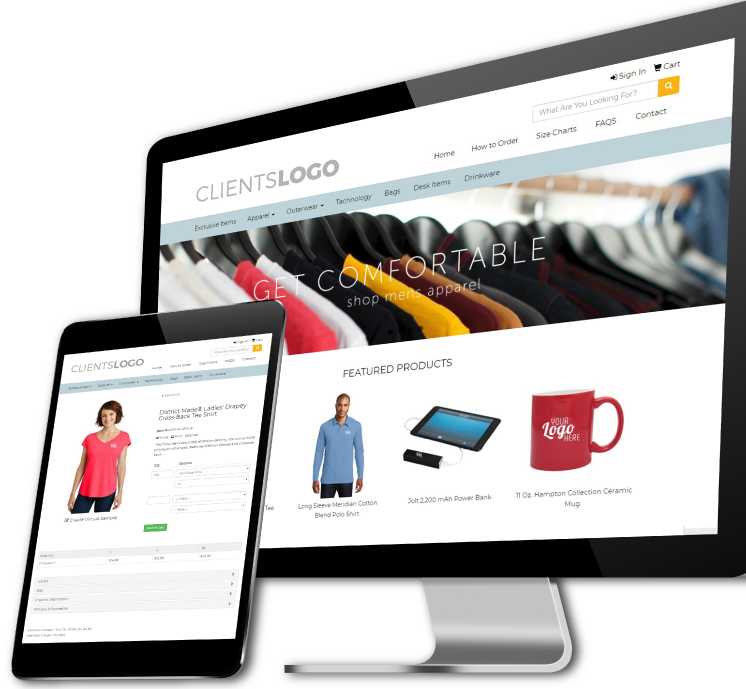 You can rearrange the home page, include custom content, and completely customize the navigation to suit anything your client wants to offer in their store. 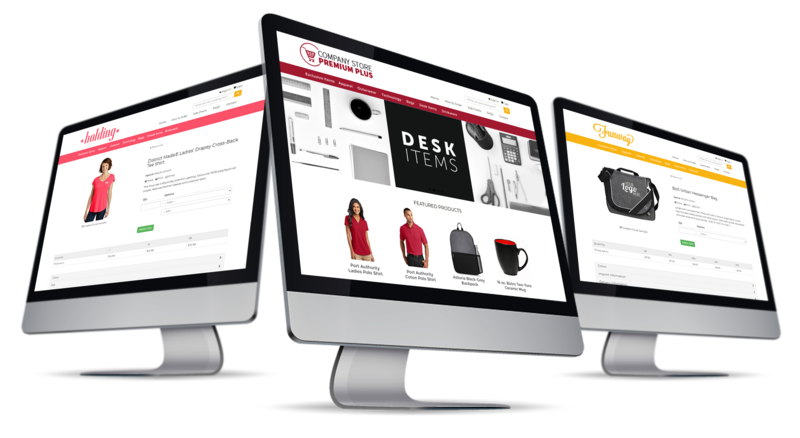 We've made it super simple to build an online store with easy drag & drop options and user-friendly text editors. 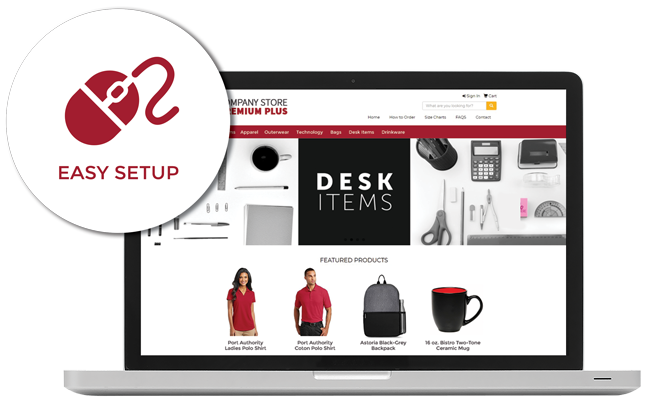 The new file library allows you to host and include custom content like images, PDFs, and other files on your company store. With live inventory management, you don't have to worry about manually maintaining the products in your store. You'll see updates in real-time and receive alerts when inventory drops. 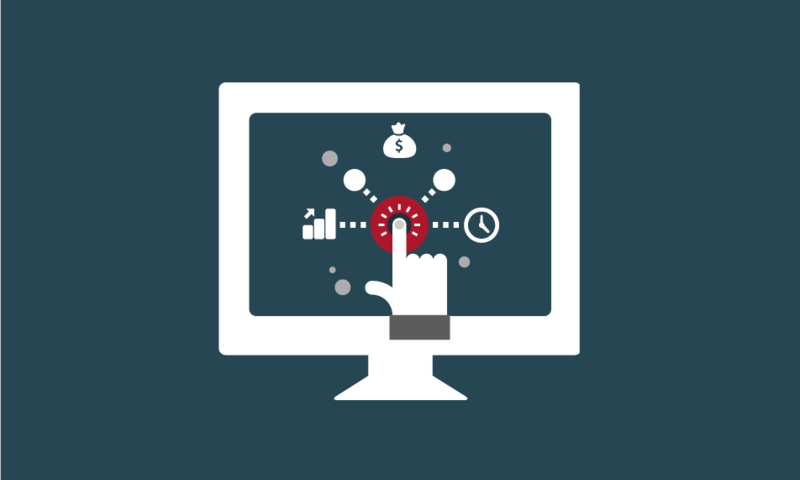 It's the little things that can make a big impact on customer service. Include a packing list with orders so you can rest assured the details are being communicated during the fulfillment process. You can pull a report on the export of the sales, reports based on client login, so you can see the number of orders per login, the store's top users, etc. 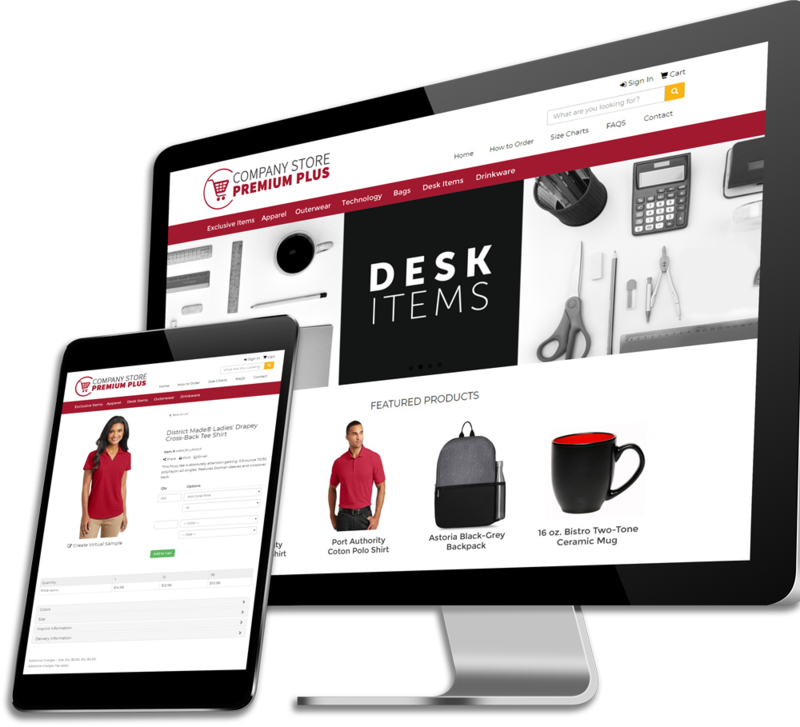 Please Note: Your Company Store free setup and site design includes change and update requests within reason except for product customization and as specified above. Excessive or unreasonable requests may entail additional charges, which will be submitted to you for approval prior to the commencement of any work. Your free setup and site design does not include logo design work or other art design services. We recommend that customers use SAGE's ArtworkZone service for reasonably-priced, efficient artwork design services. 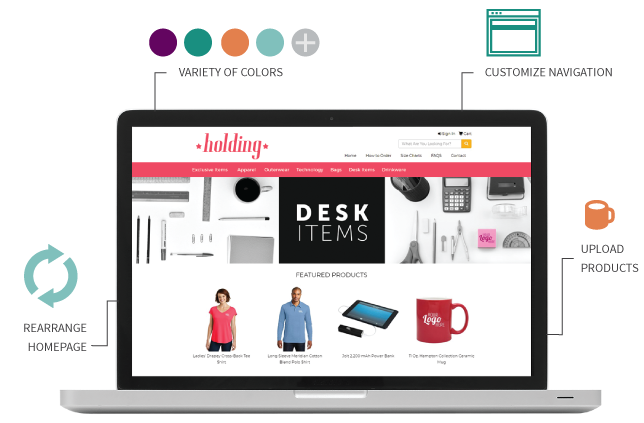 Pricing is based on the number of products you’d like customized. 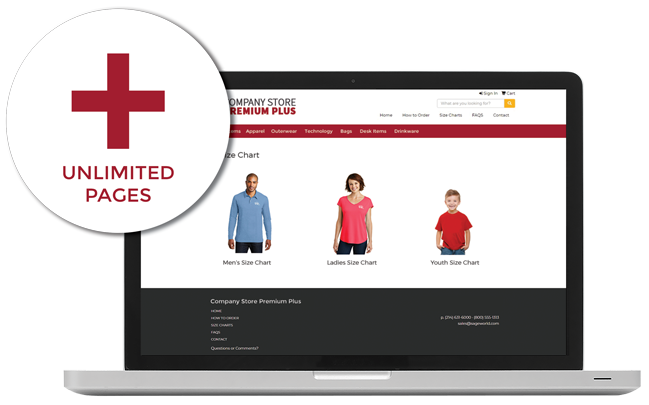 To subscribe to a SAGE Company Store Premium Plus, please complete the web form. Interested in a SAGE Company Store? Submit the following form and we’ll have your account executive contact you to get started! First Name (required) First name is required and must be at least two characters. Last Name (required) Last name is required and must be at least two characters. Phone (required) A ten digit telephone number is required. Company (required) A company name is required and must be at least three characters.